For all of the criticism the toy line has received over the years, Barbie dolls actually have significantly more potential to be something positive than, say, the average Transformer. Oh sure, Optimus Prime is a good role model, and his message of freedom for all sentient beings in the galaxy is important, but he’s not quite as empowering as an actual human role model. It’s presumably with an idea like that in mind that Mattel launched its “Sheroes” project earlier this year, which involved creating one-of-a-kind Barbie dolls modeled after inspirational women that would eventually be auctioned off for charity. The dolls included Trisha Yearwood, Lucky magazine editor Eva Chen, and Kristin Chenoweth, but the fans of one of the Sheroes loved the idea so much that they’ve managed to convince Mattel to produce multiple copies of the doll and offer it for sale. 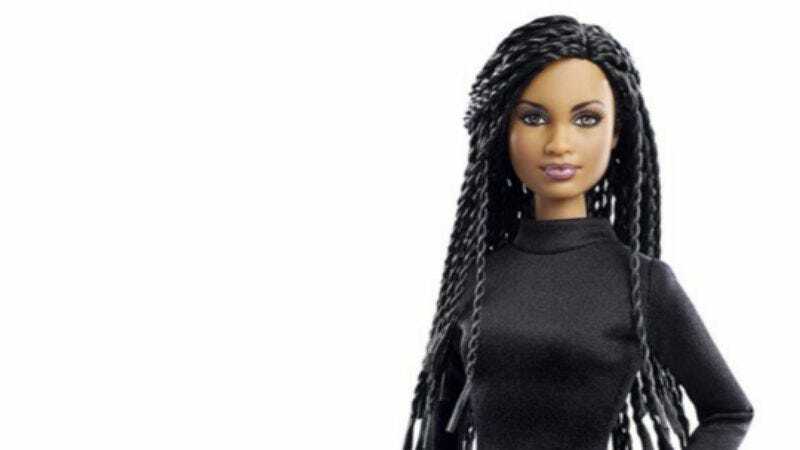 That lucky doll/person is Selma director Ava DuVernay, who tweeted today that the doll based on her is actually going to go on sale on Monday, with the proceeds still going to charity. This all comes from The Wrap, which doesn’t know where DuVernay fans will be able to buy the doll or how many will be produced, but this is still pretty cool. Besides, it’s not like there are any Transformers modeled after inspirational women…unless you count Arcee, the female Transformer, who isn’t really as accomplished as someone like Ava DuVernay anyway.